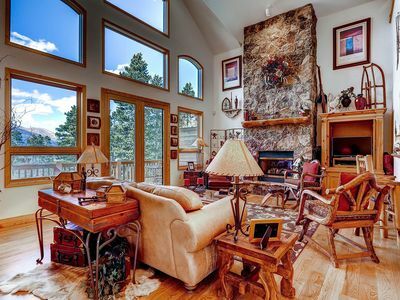 Welcome to the mountains after a satisfying adventure on the ski slopes, or hiking or biking the many trails, your mountain getaway retreat is a only few minutes away. The clubhouse amenities are amazing! 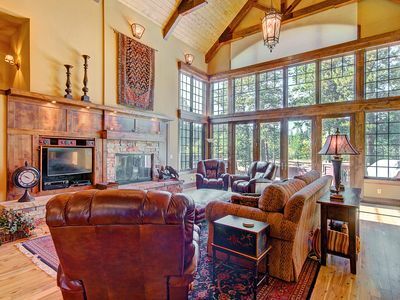 You can relax in one of the four hot tubs (3 are outside, and you feel like you’re in the woods) or the club houses sauna, or steam room. Or you could play a match of tennis or racketball. 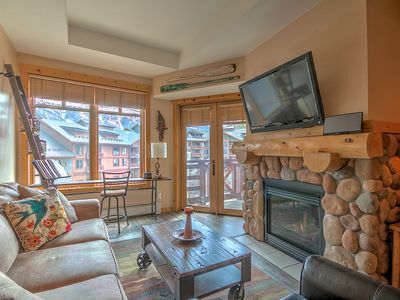 You can get cozy and read a book next to the wood fireplace, browse the internet on the free WiFi/ Cable TV in condo, or watch a movie in the comfortable living room. 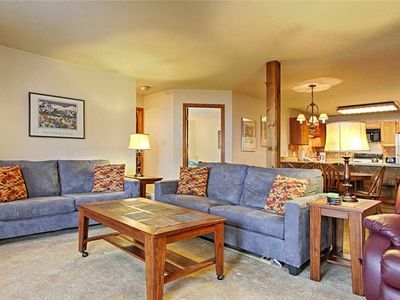 This one bedroom, one bathroom modern mountain side condo is great for 1 family of four or 2 couples. 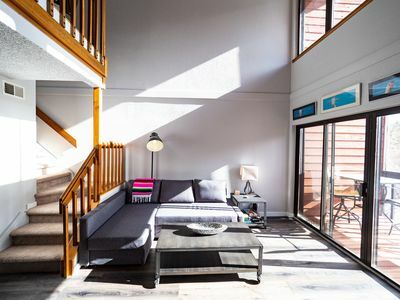 There is a brand new adjustable head and foot memory foam Queen bed in the bedroom, and a sleeper sofa In The living room with linens provided too. There is a single chair pull out bed in the bedroom which can be perfect for a Child or teenager. 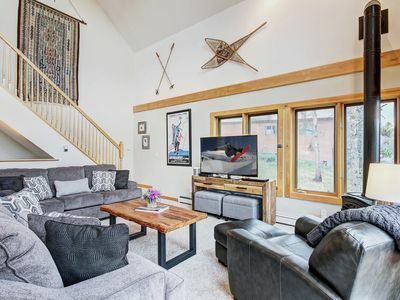 It has been updated throughout with over $25K of recent upgrades; with all new hardwood Floors, new paint, new fireplace mantle, complete new bathroom and kitchen, tile work and new stainless steel appliances. 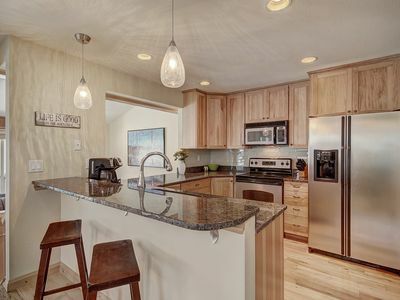 You can prepare meals in the fully equipped kitchen including a Nespresso capsule coffee maker for that early morning latte or espresso before your days adventure. 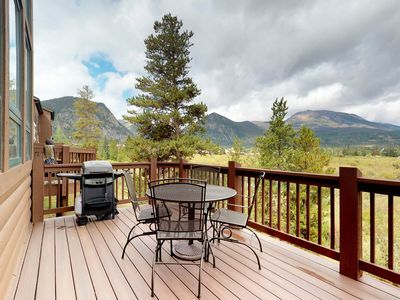 Enjoy wonderful mountain views of Peak One and Mount Royal right out your private balcony. Occasionally you might see a moose running about in the forest. 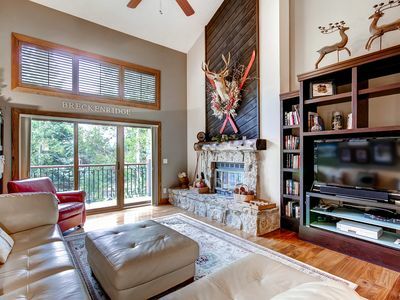 The living room has a 40inch Tv with cable and Netflix. This unit comes with one covered, reserved parking space in the garage, and plenty of outdoor parking for additional vehicles. 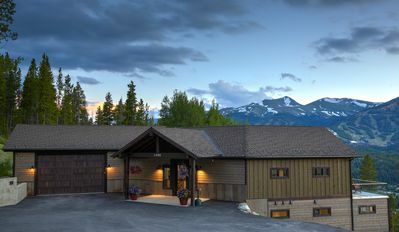 Countless amenities are included in the mountainside complex, including indoor swimming pool, three large outdoor hot tub's and an indoor hot tub, steam room, Sauna, racquetball court, outdoor tennis court, barbecue grills, meeting room, full coin operated laundry facilities, and free Wi-Fi in the clubhouse and condo. 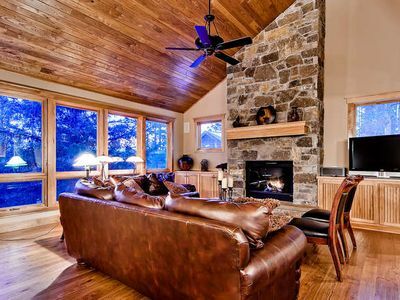 The check in time is 3pm, unless pre-approved by the owner, and check out time is 10am. 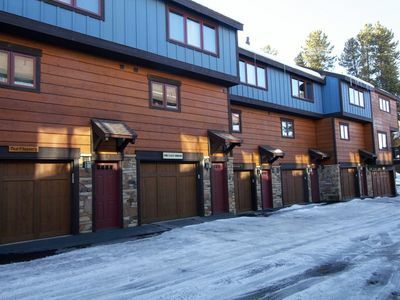 The mountain side condos are a quiet complex that borders the national forests 10 mile recreational trail, it is only five blocks from Frisco's historical Main Street, and it has 50 miles of spectacular bike paths. Frisco's charming Main Street offers an abundance of restaurants, coffee shops, bars and great shopping opportunities. Also there is Whole Foods, Natural Grocers, Safeway, and a Walmart just a few minutes drive to stock up and groceries. The blue River bike paths and walking trails are also near the condo and offer access to world-class fishing. 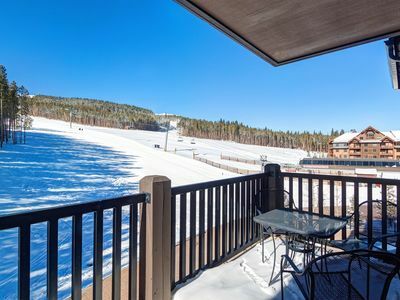 Lake Dillon Marina features many aquatic recreation opportunities including kayaking, sailing and boat rentals which is 0.6 miles from the condo.The adventure park is a fun place to take the family sledding is only a couple of minutes away. 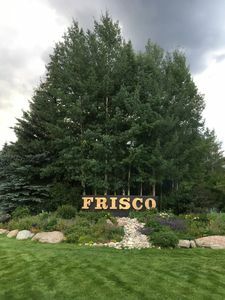 Frisco is located in the heart of beautiful Summit County in the middle of the Rocky Mountain high country, giving you access to all of the year-round recreational opportunities that Colorado has to offer. 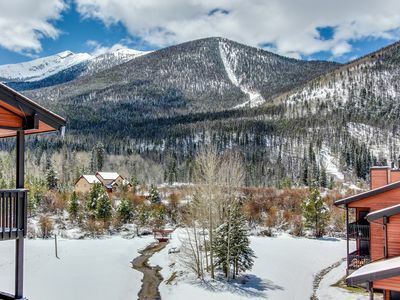 23 miles from Vail and Beaver Creek ski resorts. 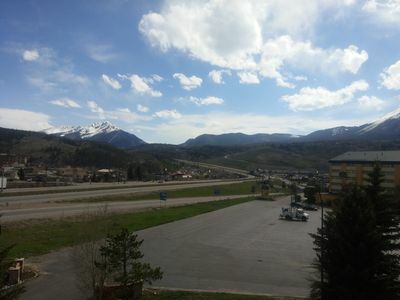 Alternative transportation is available by way of the summit stage, A complementary public bus service that operates between Frisco, Breckenridge, Keystone, Silverthorne, Dillon, and Copper Mountain. 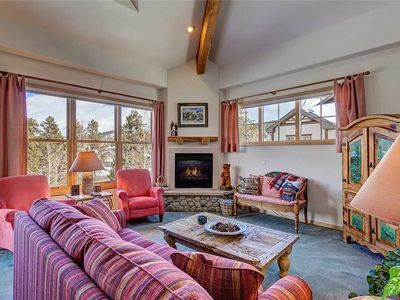 Our charming condo warmly invites you to the mountains, historical Frisco, Colorado and the surrounding Summit County areas that will create memories that will last a lifetime. 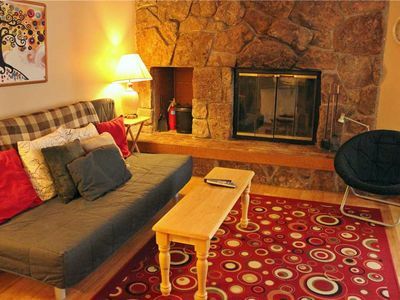 Conveniently located condo, Spacious, Outdoor hot tub, Free garage parking! 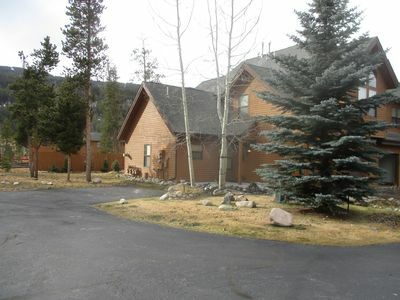 #1695 Winterpoint 2 Bed, 2 Bath Townhome. Walk To Lifts & Downtown. 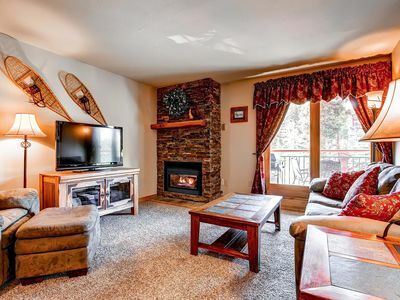 Copper Cabin With A Half Pipe View! 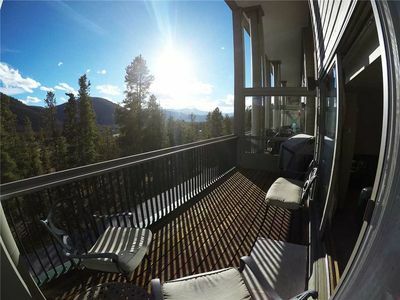 Corner unit, Stunning views, Walk downtown, Steps from lift, Private patio!